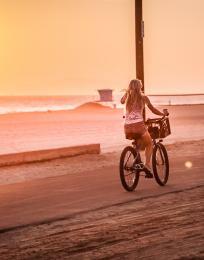 Actively enjoy the sand by partaking in one of Huntington Beach&apos;s most popular sports: beach volleyball. 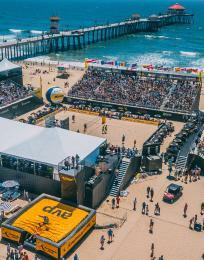 We&apos;re not only home to volleyball pros, we&apos;re also a stop along the annual AVP Pro Beach Volleyball Tour. Nearly two dozen nets on either side of the pier await players of all skill levels, with more at Huntington State Beach to the south and Bolsa Chica State Beach to the north. Nets are free and available on a first-come, first-served basis, and balls are available for rent at beach concessionaires. Bump, set, and spike any day of the week, any month of the year.